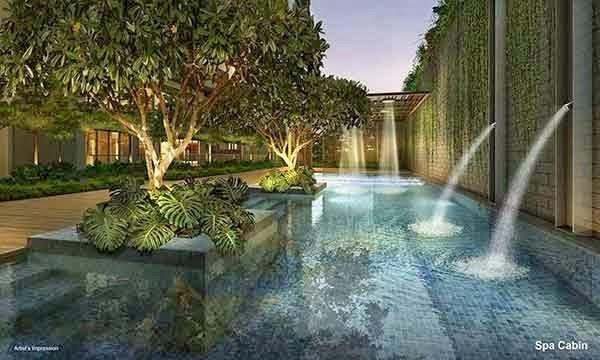 Jewel @ Buangkok is an exceptional property development by the renowned White Haven Properties Pte Ltd strategically situated in the central hub of Buangkok Drive, Singapore District 19. All units are grandly adorned with sophisticated interior and exterior furnishings that will definitely suit your luxurious lifestyle. The resort-inspired amenities provided within the vicinity such as the pools, spa, tennis court and courtyard and even the fitness facilities are available for everyone to enjoy. This auspicious estate provides you the maximun pleasure and relaxation you will truly cherish. Your whole family will be warmly accommodated with top of the line facilities and services for your heavenly stay! Jewel @ Bunagkok is available for preview through an appointment, You may call our hotline or choose to register using the form provided below. Jewel @ Buangkok Brochure and Floor Plans is available to download for your reference. Unit Mix: 1 BR, 2 BR, 3,BR, 4 BR, 5 BR and Penthouses. *Jewel @ Buangkok VVIP Preview is available strictly by Appointment. Showflat opening hours may varies. For opening hours, do call our Sales Hotline at 6100 0877 or register below for your VVIP Preview.